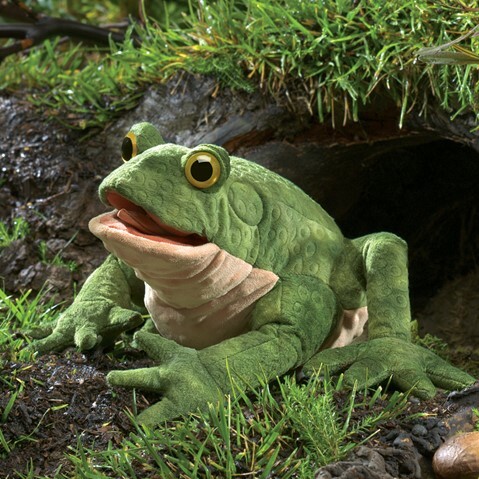 Folkmanis 3099 - It's not easy being green, unless you're a Folkmanis® TOAD puppet. With a textured and warty plush body and wide open eyes, use your imagination to animate forelegs, mouth and even the tongue of this awesome amphibian! Movable mouth, tongue and forelegs. Puppet measures 11” x 18” x 6”.